The list of recommended readings Donald Barthelme gave his writing students includes one particularly laconic entry - "Beckett Entire;" no other writer on his list was awarded this honor. Since Barthelme's death in 1989 (almost five months to the day before Beckett's death) the definition of "entire" has grown, with the 1992 publication of Dream of Fair to Middling Women , Beckett's first novel, and the first volume of his letters, from 1929-1940 , published in 2008. Unrelated to Barthelme's list, I also decided at some point that I wanted to read Beckett's entire oeuvre (probably sometime in 2004/5 after reading the Molloy and Waiting for Godot), though in my case there were other writers I wished to read everything by (Kafka and Borges, both mentioned in earlier posts, as well as Pinter, Coetzee, Raymond Carver, Nathanael West, and Nabokov, some of which I assume will come up in future posts). 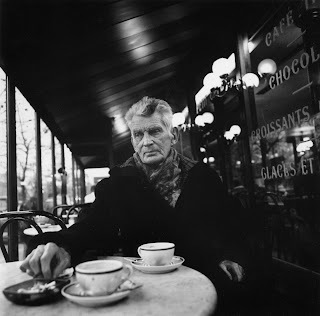 The following list is for people who wish to do the same and want to know which books they should get, or people who just want to know which of his books are worth reading (unlike Barthelme, though I aim to read Beckett's complete works, I wouldn't recommend all of it). 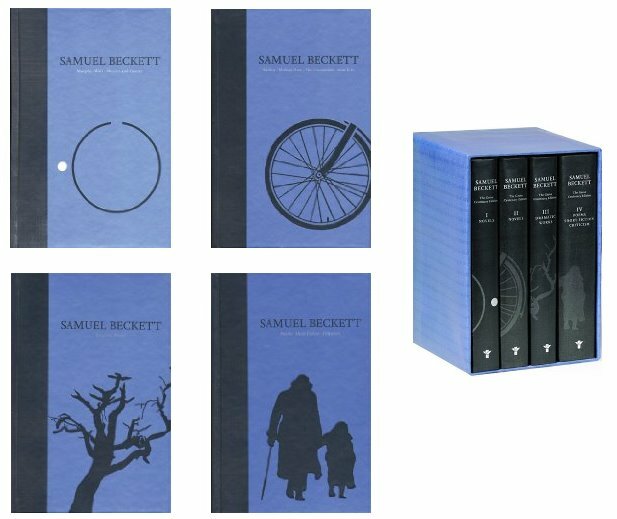 You might assume that getting a hold of The Grove Centenary Editions of Samuel Beckett Four Volume Boxed Set is a simple, albeit expensive, way of getting all his works, but these editions do not include the posthumously published letters or first novel. Besides, what fun would that be? Wouldn't you rather discuss 17 books than 4? In the following table books marked V under Bloom were included in Harold Bloom's inescapable Western Canon; books marked V under Me were read by me and are discussed below. 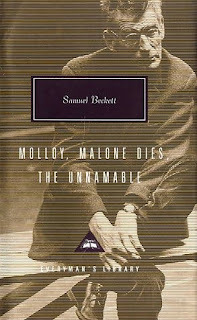 Molloy is my personal favorite, and though the other two (Malone Dies and The Unnameable) gradually become more solipsistic and repetitive, all three novels are definitely at the top of my recommended list. The writing is brilliant in all three, funny and at times poignant, though very little ever seems to happen (and if something does happen the narrators often focus on its minutest details). The other novels I've read are Murphy, which was enjoyable but didn't impress me as much as the others, and Mercier and Camier, which for some reason I found rather annoying and uninteresting (though written in 1946, Beckett withheld the novel from publication until 1970; perhaps he knew what he was doing). The three novellas collected in Nohow On (Company, Ill Seen Ill Said, and Worstward Ho) are often set up in relation to the "Three Novels," as a further exploration of the same themes with even less of a plot and context, which is perhaps why I found them to be too abstract. Though some of the passages exhibit wonderful prose, without any real characters or events it's very hard for each of these pieces to coalesce into a recognizable whole. ...once there is speech, no need of a story, a story is not cumpolsory, just a life, that's the mistake I made, one of the mistakes, to have wanted a story for myself, whereas life alone is enough. Of these later writings the best are the 13 "Texts for Nothing," "Heard in the Dark" 1 & 2, and "Stirrings Still." 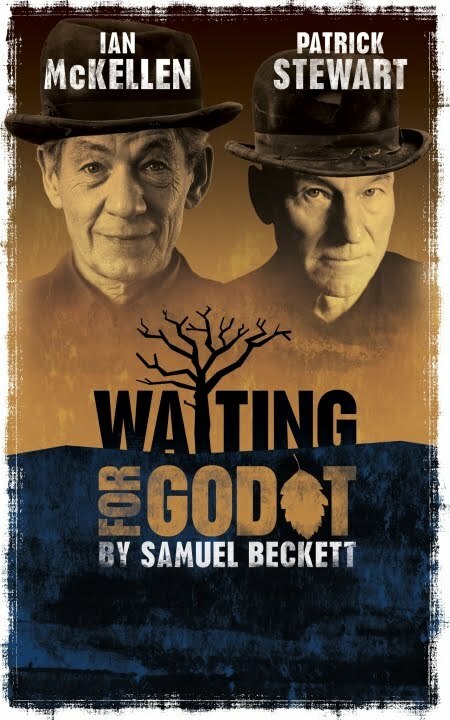 I sincerely hope that I don't have to tell you how great Waiting for Godot is, or actually tell you anything about it. Even if I did need to acquaint you with this play I wouldn't say anything about it, I would just advise you to go read it. 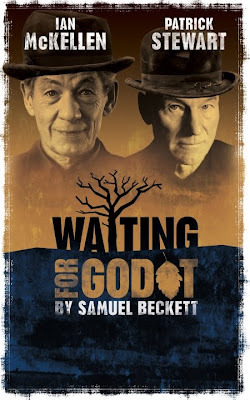 Or better yet, watch it (I was lucky enough to see it last summer at the Theatre Royal Haymarket with Patrick Stewart and Ian McKellen as Vladimir and Estragon). Endgame is also a masterpiece, though bleaker (I only fully appreciated it after seeing it on stage - at BAM in 2008, with John Turturro as Hamm). 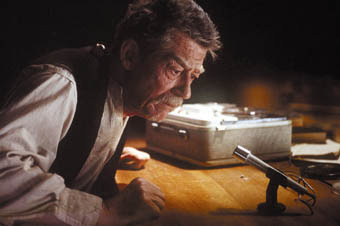 Happy Days is also enjoyable, and if you can find the video version from Beckett on Film it's worth viewing. 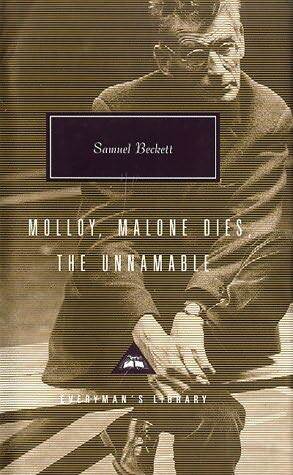 The Collected Shorter Plays includes all of Beckett's dramatic work excluding the three plays mentioned above. It also includes his radio and television plays, mimes, and the screenplay for Film (a 25 minute movie starring Buster Keaton, which you can find on YouTube). Some of these texts are barely readable - consisting of a series of instructions for actors, directors, or lighting technicians, making it difficult to visualize exactly what Beckett was going for, and at any rate having much less of an effect than one would probably get from the actual performance. Of the 29 pieces collected here "Krapp's Last Tape" stands out as the best; other works worth reading are "Rough for Theater" 1 & 2, "Rough for Radio" 1 & 2, "A Piece of Monologue," "Ohio Impromptu," and "Play" (In the UK Beckett's Complete Dramatic Works are available in a single volume published by Faber & Faber). 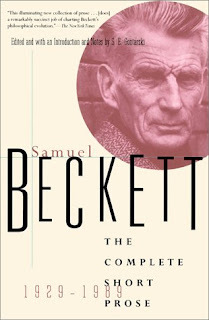 All of Beckett's plays and playlets (a total of 19 works) were filmed as part of the Beckett on Film project (available as a DVD Box set ) and videos of many of the other works can be found online. Disjecta collects Beckett's miscellaneous writings, including "Dante ... Bruno . 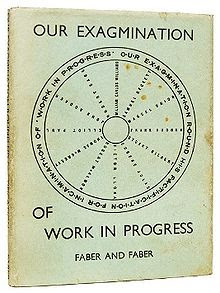 Vico ... Joyce" which he originally wrote for Our Exagmination Round His Factification for Incamination of Work in Progress, a 1929 volume of laudatory essays about James Joyce's Finnegans Wake (at the time published serially under the title Work in Progress). Other works include essays on writers, artists, his own work, and a single scene from an unfinished (or mostly unwritten) play about Dr. Samuel Johnson. 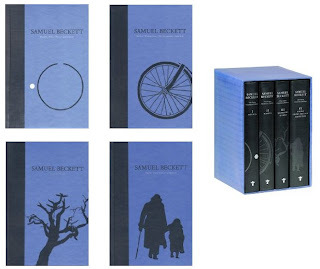 It is well documented that Beckett himself didn't think much of these pieces and nor do I. Some critics claim that these texts, particularly "Three Dialogues," provide a sort of self-commentary on Beckett's struggle with expression, but I find them superfluous - that struggle is expressed clearly enough through his fictional works. "In the end he said, I am Mercier, alone, ill, in the cold, old, half mad, no way on, no way back. He eyed briefly, with nostalgia, the ghastly sky, the hideous earth."